Set in Scotland in 2006, during the negotiations that led up to the St. Andrews' Northern Ireland Power-Sharing Agreement, The Journey dramatizes a fictional road trip taken by two of the main protagonists, -Ian Paisley (the firebrand Protestant preacher of what to the rest of the world surely seemed like a wildly anachronistic anti-Catholicism) and Martin McGinness (one of the leading IRA terrorists), who eventually ended up as allies of a sort, sharing power in Belfast and duly dubbed "the Chuckle Brothers" by the media. On the one hand, it seems strange, when dealing with real historical people, to invent a fictional story, when the true story must surely be at least as interesting. On the other hand, it is so well done that its improbability recedes from one's consciousness as the imagined reconciliation is so skillfully acted out. I confess to no great interest in the sad story of Irish terrorism (represented by McGinness and his cronies) and the tragic impasse 20th-century Irish nationalism gratuitously created for itself. Nor, needless to say, am I at all drawn to Paisley, who in 1988 famously heckled Pope Saint John Paul II with the words, "I denounce you, Anti-Christ," when the Pope came to speak to the European Parliament. What the film's fictionalized version of the two great antagonists' slow movement toward mutual recognition does do, however, is to open a small window into their souls and in the process a large window into the tragic world of long-standing tribal conflict. At one point McGinness admits to Paisley that what they are being called upon to do is something the world will love but their constituencies will hate. However important leaders may be in stirring up hatred, we should never underestimate how deep such tribal hatreds and the communal conflicts they cause can be at their root - and how limited leaders may be in their ability to transcend those divisions. That indeed is one of the reasons why we so exalt the few leaders who successfully do so. The reason peacemakers are so few and rare is the reality of how hard peacemaking is and how really resistant people are to it. The film employs that popular fantasy that, if enemies could just get together and talk to one another on a personal level as people, as fellow human beings, with similar lives and families, etc., then reconciliation really becomes possible. But, as the final handshake at the airport illustrates, the conditions for such an outcome are stringent. They require an unabashed recognition of the intensity of the accumulated centuries of hatred that separate the two tribes - and a consequent willingness to prioritize political art rather than any expectation of spiritual transformation. The Paisley-McGinness movement toward mutual recognition was possible not because they were trapped together on a fictional road trip but because they were old enough and experienced enough (and perhaps also tired enough and maybe even sick enough) to recognize the providential concurrence of challenges and opportunities and take advantage of an historical moment. And, for all their monumental personal faults and failings, good for them that they did! By the narrowest of votes but decisively nonetheless, the current majority party's scandalous seven-year effort to take health care away from millions of Americans finally failed in the Senate in the early hours of the morning. As Winston Churchill famously said to the long-suffering, war-weary British people on V-E Day: "we may allow ourselves a brief period of rejoicing." That deliverance for the millions whose hopes for health care have been so unnecessarily threatened depended entirely on the three majority-party Senators who broke ranks and voted NO. That so small a number of majority-party Senators were willing to put the interests of the American people above the obscene values of their party and its leadership only highlights the pathetic precariousness of our politics - evident not just on the Senate floor but at both ends of Pennsylvania Avenue. One of the Senators who voted for the majority party's bizarre bill called it "a disaster" and "a fraud." But he voted for it anyway. Case closed! While likely not a miracle in the technical sense, the successful evacuation must certainly have seemed to be an answer to a nation’s prayers. With Germany apparently on the verge of victory and Britain and her hapless allies on the verge of defeat, King George VI proclaimed May 26, 1940 a National Day of Prayer. Millions of people throughout the United Kingdom went to church that Sunday to pray for deliverance. (The photo above - from www.anglican.ink - shows the enormous crowd lined up outside Westminster Abbey.) In the days that followed, a violent storm grounded the Luftwaffe while a calm Channel enabled a flotilla of small boats to sail to France for the seemingly miraculous rescue of more than 300,000 soldiers. The Sunday after the evacuation was then fittingly observed as a Day of National Thanksgiving. Even so, it was an evacuation worth celebrating – not just for the soldiers saved from death or captivity, but for the encouragement it gave a beleaguered people about to be left on their own to resist the German onslaught and the hope it promised for an eventually victorious return to the European mainland. That sense of deliverance, of snatching at least the hope of victory from the jaws of defeat was evident in the enthusiastic welcome Dunkirk's survivors received back home. When I was growing up, the story of the war won by our parents' generation (now fittingly known as "the Greatest Generation") was well known to us all. With the subsequent evisceration of the content of so much of American education in recent decades, who knows how much students today actually know about World War II, about who fought it and what it was about? Perhaps some of that ignorance may be may be alleviated by Christopher Nolan's wonderful new war film Dunkirk. This summer, we have been making our way, week-by-week, through Saint Paul’s famous letter to the Romans, which Saint Paul wrote around the year 58 or so of the 1st century. It’s the longest and most studied of all of Saint Paul’s letters. Apparently, even the comic cartoon character Charlie Brown was familiar with it. I remember one time, back in the early 1970s, when Charlie Brown, moaning and groaning as was his style, was told, “Stop sighing,” to which he responded, “It’s scriptural.” He then proceeded to cite Saint Paul’s words from the short passage we just heard today – in the more elegant, more traditional translation, for the Spirit helps us in our weakness, with sighs too deep for words. Well, of course, there really may be plenty to sigh about. Just tune into CNN and listen to the world and national news for a while. Indeed, the background for the 2 verses we just heard could be described as what I sometimes like to call “the problem of the present” - in other words, the tension between, on the one hand, the obvious reality of the present time, the sense of overwhelming futility (as Saint Paul puts it) that seems to characterize the world we inhabit, and, on the other, our hope as children of God and joint heirs with Christ. We have, Saint Paul insists, been offered an alternative, already in the present - the revelation of the children of God, empowering us to receive the word of the kingdom and so bear fruit (what Saint Paul calls the first fruits of the Spirit) by responding to its stirring call to a total reorientation of our lives. Even so, we remain burdened by what we have made of ourselves and our world. Left on our own, we would stay stuck there. Prayer, Paul suggests, takes us into a different future – a future better and brighter than the present but already accessible to us now, thanks only to the presence and power of the Holy Spirit acting upon us, filling us, surrounding us, transforming us. Similarly, the parables Jesus proposes in today’s Gospel all illustrate the slow – but inexorable – establishment of God’s kingdom, transforming our pathetic present into God’s glorious future. God sows his good seed in the field of the world and patiently waits until the harvest before separating the wheat from the weeds. The weeds are very real and must be dealt with eventually. But God’s judgment is patient with the world – for our sake. Because, of course, God is not at all like us! As we just heard in the book of Wisdom, God’s mastery over all things makes him lenient to all. He governs us with much lenience, thus giving us good ground for hope that he would permit our repentance. Which is one reason why we need to resist the persistent temptation to over-react to the present by imposing some supposedly spiritual meaning or religious interpretation on contemporary events. That has one of the perennial problems through so much of our Christian history. It sometimes takes the form of wanting to blame every bad thing that happens on the coming of the Antichrist or demonizing some present-day opponent as a modern-day Diocletian (the 4th-century pagan persecutor of the Church). Alternatively, when things seem temporarily to go better, it sometimes takes the form of thinking we’ve already made it to the 2nd Coming or at least imagining some temporary ally as another Constantine (the 4th-century pagan liberator of the Church). In our frustratingly futile present, we lack patience – with God, with ourselves, with our world. But God is not like us! Like the yeast which, when mixed with flour, leavens the whole batch, God is patiently filling, surrounding, and transforming our world with the presence and power of his Holy Spirit. Homily for the 16th Sunday in Ordinary Time, Immaculate Conception Church, Knoxville, TN, July 23, 2017. Rumor has it that the Congregation for the Clergy may soon require (or at least strongly endorse) the practice of priests concelebrating Mass together in the Roman Colleges - presumably instead of celebrating daily Mass individually. This rumored document in the making, “On Concelebration in the Colleges and Seminaries of Rome,” has stirred up some controversy - especially among those of a more "traditional" liturgical orientation, in particular those attached to individual private celebration of Mass in the "Extraordinary Form." Obviously, if one views 1570 as the apogee of the Roman liturgy and all subsequent changes as in effect deformations, then one will likely not care for concelebration. which did not exist at all in the 1570 Missal - except in the idiosyncratic case of newly ordained priests and newly consecrated bishops at the Mass of their ordination or consecration. Like almost everything else in life, eucharistic concelebration is not without its problems. But, generally speaking, I am a fan of concelebration and whenever appropriate prefer it to any of the three obvious alternatives - individual private celebration without a congregation, assisting at Mass in choro habitu induto, or assisting at Mass more laico. But, before I get into my own personal preferences, it may help to recall come recent history. While never actually required, the daily celebration of Mass has been an integral part of priestly spirituality for several centuries. Accordingly, the Code of Canon Law encourages priests "to celebrate frequently; indeed, daily celebration is recommended earnestly since, even if the faithful cannot be present, it is the act of Christ and the Church in which priests fulfill their principal function" (canon 904). It is this important idea that in the celebration of Mass a priest fulfills his "principal function" that is, I believe, at the heart of the issue. 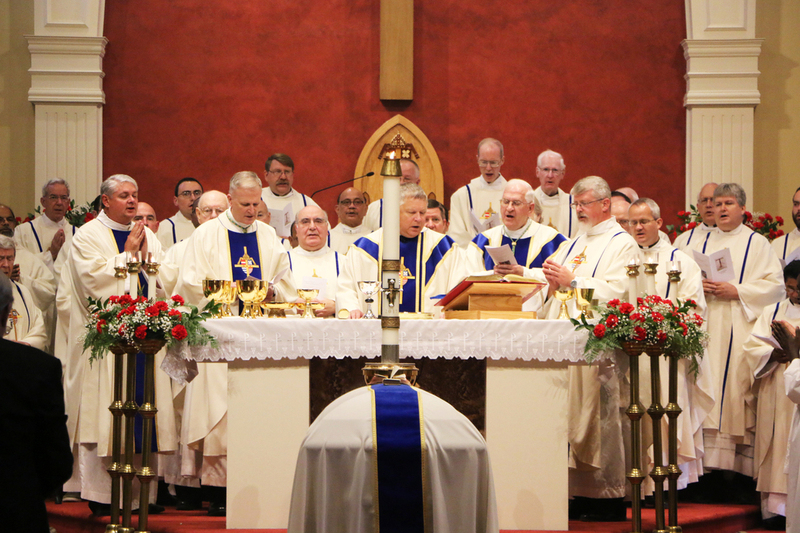 Like so many other conciliar and post-conciliar liturgical changes, concelebration was probably originally envisioned as intended primarily for certain circumstances and occasions. And, again like so many conciliar and post-conciliar liturgical changes, the scope of those circumstances and occasions eventually expanded. In practice, concelebration is now routine at big events such as when many priests concelebrate at the cathedral with their bishop (e.g., major diocesan celebrations, ordinations, funerals, etc,), also when the bishop comes to the parish (e.g., for confirmation or a visitation), .- and also even without the bishop when several priests are present in a church for some special occasion (e.g., an anniversary or a funeral). For most working priests, this kind of ceremonial concelebration is often in addition to celebrating Mass individually with one's own congregation in one's parish, and has been made possible by another radical change - the extension of permission to celebrate Mass more than once on a single day. Secondly, concelebration is now also routine "at Masses celebrated at any kind of priests' meetings, whether the priests be secular clergy or religious" - e.g., priests' retreats and convocations, occasions when typically priests are away from their parishes and which therefore do not usually involve more than one Mass on a single day. Personally, I probably find these my favorite occasions for concelebration, precisely because they represent a really spiritual experience of praying as a priest with my fellow priests. A third common occasion is that referred to in 2 (a) above, conventual and community Masses, which would presumably include seminaries and houses of studies - the very sort of situation the rumored new directive would cover. But the most stringent objection seems to be on the part of those who are genuinely and sincerely attached to the individual celebration of Mass. Some of the arguments sometimes advanced for this seem somewhat strained. There is, for example, the view that the Church is somehow spiritually poorer when fewer separate Masses are celebrated, which seems to represent an excessively quantitative approach to something which is intrinsically of unquantifiably infinite value. As Pope Benedict XVI reminded us, the celebration of the Eucharist is of "objectively infinite value" (Sacramentum Caritatis, 80). It is certainly the case that some priests truly treasure the spiritual experience of celebrating Mass by oneself. That sentiment is certainly a valid and legitimate one and is deserving of respect, as part of our Latin rite liturgical tradition and heritage. Both Vatican II and canon law preserve and respect the right of each individual priest to celebrate individually on all but a few occasions. That said, however, as long as that legal right is acknowledged and respected, I see nothing that forbids any Church institution or community from expressing preferential priority for concelebration, something which both Sacrosanctum Concilium and canon law implicitly allow by virtue of the fact that individual celebration is prohibited at the same time in the same church as a concelebrated Mass. That priority - and the preference it implies - is certainly in keeping with the primarily public and communal character of the liturgy, something contemporary clergy and laity alike may be more sensitized to and attracted to today than in some previous periods. Besides the Mass, the Church has also always had another concelebrated liturgy, which is nonetheless more often celebrated alone and in private - the Divine Office or Liturgy of the Hours. Many priests recite their Office alone and in private because of the circumstances in which they find themselves, and they may indeed come to prefer that experience and derive spiritual benefit from it. But that does not alter the Church's long-standing preference for a fuller choral celebration and the very great benefits that derive from that tradition. As part of the 20th-century's intensified emphasis on the communal character of our liturgical worship, many priests have rediscovered the beauty and benefits of common prayer both through more frequent communal celebration of the Liturgy of the Hours and more frequent concelebration of Mass. Both these developments have enriched the Church as a whole, as well as the spiritual lives of many priests individually. And so it certainly seems reasonable that there should be some clearly stated preference for these experiences in seminaries and houses of studies. 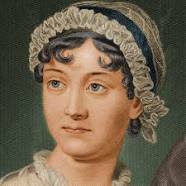 Today is the bicentennial of the death (at 41) of Jane Austen, Regency England's most famous novelist. In her memory, this year I resolved to reread Pride and Prejudice. Actually, much as it shames me to admit it, this was in fact really my first reading of it. Of course, I know the story and have seen more than one film version of it. But, back when I was actually required to read the book in junior year of high school, I did not do so - for ridiculous reasons embarrassing enough not to go into any further. I have always looked upon this as one of the more regrettable lacunae in my education, and this finally seemed the right time to rectify it. This is not the first time in my life I have read a book after seeing a movie or TV version of it. (Usually, in fact, it is the latter that kindles interest in the former.) When one does that, of course, inevitably one's reading is amplified by visual images from the film or TV version. Having seen more than one version and each more than once, that was certainly especially true with my reading of Pride and Prejudice. I could anticipate scenes and vividly picture them in my mind as I made my way through Austen's masterpiece. It was an experience that says a lot about the dominance of visual media in the way we experience real literature today. As for the novel itself, which Winston Churchill is supposed to have re-read during World War II, I have little to add to the virtually universal chorus of praise that has enveloped it these past two centuries. (Even Japan has a Jane Austen Society!) That its popularity has survived such dramatic social change, which has made the novel's world almost unrecognizably alien, in a way that it was not yet quite so alien when I first ought to have read it as recently as 50+ years ago, is another tribute to Austen's art. A Vicar's's daughter (something she shares with Britain's present Prime Minister, Theresa May), Jane Austen was, I believe, at first published anonymously. But then her work was applauded by no less a person that the Prince Regent himself. Her work has continued to be applauded ever since - and if anything even more so - in recent decades. The basic building block in a novel like Pride and Prejudice is, of course, the archetypal human story: boy meets girl, boy and girl get together in spite of any number of real and imagined obstacles, all set in the context of a social marriage market, accepted as critical for the fortunes of the individuals involved and taken for granted as foundational for society's successful functioning and continuance. In Pride and Prejudice, after turning down the unappealing but obviously sensible choice for a woman in her position, Mr. Collins, the heroine gets to marry (and for love) the much more desirable Mr. Darcy, and becomes therefore the mistress of Pemberley, with all that accompanies Pemberley in terms of wealth and social position. In retelling the archetypal human story, Austen creates characters completely recognizable in their human dilemmas, even as she flawlessly evokes a faraway world whose intricacies of class and social status she seems to have been perfectly skilled at portraying. Sir Walter Scott said she presented her readers "a correct and striking representation of that which is daily taking place around" them. That too is part of her appeal – especially so today, when we look back with wonder and amazement at such a seemingly well-ordered world (so unlike ours in its orderliness and sense of place), while at the same time we recognize the underlying emotional stress that could chaotically co-exist with all that apparent orderliness and which she identified so well - and so perhaps helps us better to identify in our own less well-ordered world. A sower went out to sow [Matthew 13:1-23]. How many times have we all heard this particular parable? One of my teachers used to be fond of citing those familiar opening words to illustrate how we have become so accustomed to hearing certain parables that, when we hear a familiar line like that, we assume we already know what follows and how it is going to end, and so tend to tune out the rest – which, of course, is one of the very things this parable may be warning us against! Having lived almost all of my life in cities, parables about farmers sowing seed sound strangely exotic to me. What exactly is the farmer doing? Why does he sow his seed in such a helter-skelter way? Of course, Jesus’ original audience would have understood the farmer’s behavior. Israel’s arid climate and rocky soil are not very farming-friendly. Finding in advance the pockets of good fertile soil, with the limited technology available to traditional agriculture, would have been difficult at best. Throwing the seed all over the place may mean that some seed will be wasted, but it probably also guarantees that at least some will fall on good soil and take root and produce good fruit. Jesus uses this familiar fact to say something about how God produces fruit in the world, reaching out to us with extravagant generosity, recognizing that maybe not everyone will respond – or, having responded, really persevere. Even so, he reveals himself as widely as possible, in many and various ways. He does that because that is who God is and how God acts – and so is how he expects his Church to act in imitation of him. And that is why God’s extravagant generosity invites such an extravagantly faithful response on our part – producing fruit as much as a hundred-fold. We talk a lot in the Church nowadays about evangelization as the essential mission of the Church. Perhaps we talk too much about it - if in fact all we do is talk. We rightly honor and celebrate the great missionaries of the past who journeyed to India and Japan like Saint Francis Xavier or from Spain to California like Saint Junipero Serra in search of pockets of fertile soil in which to plant the Gospel. So, wherever we turn, we meet not only those who have never yet heard the Word, but also those who have heard it and forgotten it, and also those for whom the Good News isn’t news at all, or (even worse) those who have heard it in a way which has made it sound more like bad news than good news. Hence Pope Francis’ evangelization prayer intention for July: that those who have strayed from the faith, may, through our prayer and witness, rediscover the merciful closeness of the Lord and the beauty of the Christian life. Like the farmer in the Gospel, we are commanded to continue to reach out as God does – sharing our story in every possible way, without preconceptions or preconditions, undoing whatever bad news has gotten in the way with the amazingly good news of God’s extravagant generosity. Homily for the 15th Sunday in Ordinary Time, Immaculate Conception Church. Knoxville, TN, July 16, 2017. These past three weeks (in churchspeak, the 12th, 13th, and 14th weeks of Ordinary Time), the Old Testament reading at daily Mass has been taken from the biblical book of Genesis. The readings have recounted the amazing family story of the patriarchs - from God's initial call of Abram in Genesis 12 to today's account of Israel's settlement in Egypt and the deaths of Jacob and Joseph in Genesis 50. As is so often the case with the Lectionary, large sections of the story are omitted - even at times within particular pericopes. So, for example, a week ago Friday the reading strung together several excerpts from Genesis 23 and 24, mentioning the death of Sarah, then Abraham's plan to marry his son to a relative from back where he came from, and then jumping ahead to Rebekah's arrival and marriage to Isaac. In the process, of course, a lot of the family story's details get left out. The omissions obviously make the story harder to follow. But, even considering all the omissions, it remains a fascinating story of history's most famous family. God's sudden move in Genesis 12 to call Abram (soon to be renamed Abraham) marked a shift from the universal primeval history of Genesis 1-11 to a new focus, centering salvation history in the story of one family - Abraham and his descendants, through whom, in Jesus, the promise would be finally fulfilled, that All the communities of the earth shall find blessing in you (Genesis 12:3). Abraham has rightly been exalted (e.g., in Romans., Galatians, and Hebrews) as a paragon of faith. There is much that is edifying in the story of Abraham's readiness to respond to the Lord's call and to trust in God's promise, even at the cost of having to pick up and move (at the age of 75 - the age at which we nowadays compel bishops to retire). God famously tested Abraham's faith in the promise when he asked him to sacrifice Isaac (through whom the promise was supposed to be fulfilled), and Abraham passed that extreme test. All that having been said, still the story of the patriarchal family stands out as much for its strange and seemingly unedifying aspects as for its edifying ones. There is, of course, Abraham's lying about Sarah. Then there is Isaac's seemingly frivolous way of awarding his final blessing, Jacob's cheating to get it, and his mother Rebekah's collusion with her favorite son in what certainly seems like an impious act of deceiving his father (as well as cheating his brother). Jacob himself turned out to be an even less successful parent - favoring Joseph over his brothers, provoking their jealousy and thus causing them to try to kill him. That all of this providentially made Joseph everyone's savior in the subsequent famine highlights God's ongoing commitment to this family and his ability to bring about blessing for many others as well, even in spite of repeated human misbehavior and chronic familial dysfunction. But it does not hide that repeated misbehavior and chronic dysfunction from our notice. Just as well! For the biblical story is not intended for perfect families such as only exist on Norman Rockwell magazine covers, but about actual struggling people and their consequently flawed families - the regular folks who might be inspired by the Rockwell cover and aspire to imitate its idealized image, but most likely fall far short of it (although are nonetheless better off for aspiring).. Most of us may feel we fall short of the ideal embodied by Abraham's faith-inspired move to Canaan at 75, but we may find much more to identify with in the more mundane struggles of the patriarchal family, though which we too may aspire to the faith of Abraham and its abundance of blessing. Amid the endless daily distractions concerning which Trump or Trump surrogate may have said what to which Russians and vice versa, the most immediately consequential issue remains in the Senate, which is still struggling to find a way to keep the majority party's promise to take heath care away from millions of needy Americans in order to give more money to the richest ones, who have no need at all. Of course, Russia is important. Finding out what happened in the 2016 election (and hopefully not normalizing candidates' cooperation with hostile foreign powers in the future) is important. But, our media-driven obsession with scandals and rumors of scandals notwithstanding, the future health prospects of millions of Americans are more important! A column in last Sunday's NY Times compared Kentucky and its neighbor Tennessee. Prior to Obamacare's full implementation, Kentucky had 14% of its population uninsured and Tennessee had 13% of its population uninsured. But, by 2015, Kentucky, which took full advantage of Obamacare's provisions and implemented the law as was intended, had cut its uninsured percentage of its population to just 6%, while Tennessee was stuck at 11%. That shows what Obamacare, when fully implemented in the public interest for the sake of the common good, has accomplished. And it shows the peril into which people are being put by the majority party's repeal agenda. Like Obamacare itself, the proposed replacements are complex. One can easily get distracted by all the dreadful detail. And obviously attentiveness to detail is important if we are ever to be at all successful in addressing this problem. Even so, the essence of the problem with the Senate bill (as with the bill already passed by the House) is clear. 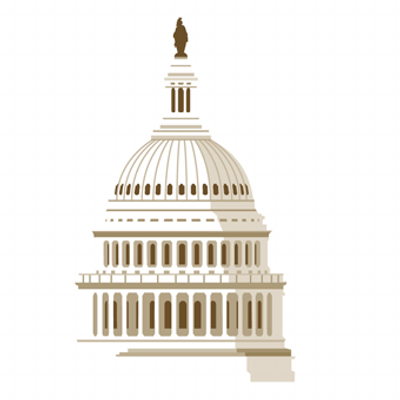 It was simply stated by the Chairman of the United States Conference of Catholic Bishops' Committee on Domestic Justice and Human Development, in a June 27 letter to the Senate and reaffirmed yesterday in light of recent proposed changes in the bill: "All people need and should have access to comprehensive, quality health care. Unfortunately, the Senate bill does not provide access for all people which is truly within their means." It is summer. It is hot, very hot. So I virtually live in air-conditioning. I didn't do so growing up, of course, because then air-conditioning was (or was thought to be) an expensive luxury, something people of our social class presumably didn't deserve. Even the family car wasn't air-conditioned. Nor, come to think of it, was the only car I ever owned (as an assistant professor from 1977 though 1981). The seminary wasn't air-conditioned either, nor were some of the churches I have served in. I know there are people who don't like air-conditioning, who don't mind the heat. But I have no patience with heat, whether at home or at work or in the car. Heat kills! And air-conditioning has been invented! Air-conditioning has been a godsend - not just in beating the summer heat but also in enabling me to make it through allergy season each year. I can't even imagine anymore ever choosing to go without it. Still, I get the Jesuit's point - not to mention that of an even more prominent Jesuit, Pope Francis, who also has rightly taken aim at air-conditioning (see Laudato Si', 55). Of course, air-conditioning is one of many culprits in environmental degradation and climate change. But so is so much of modernity. I consider the automobile to be perhaps the most disastrous modern invention - not just for its deleterious effects upon the earth's physical environment, but also for its destructive effects upon our social environment, the harm it has done to family life, community (especially urban) life, etc. I genuinely hate the automobile and all its works. Yet I drive every day. I have to - to do my job, to do almost anything. Like the rest of my contemporaries, I am trapped in modernity's self-destructive web. All of which points to one of the core dilemmas of contemporary life. Modernity may be killing us (certainly spiritually and, in the case of environmental degradation and climate change, physically as well). We know modernity may be killing us, but we no longer know how to live without it - and probably couldn't do so even if we did know. It is no secret that the Collects of the "Ordinary Form" of the Roman Rite (the Rite of Paul VI) are often longer and wordier than the orationes of the "Extraordinary Form" of the Roman Rite, i.e, the traditional Roman Rite in use in the Latin West until the late 20th century. As is well know, the classical Roman Rite developed within a culture and in a language which lent itself to a sober style that was simple and direct in expression. This characteristic (sometimes called "the Genius of the Roman Rite") was especially evident in the collects, which were often short to the point of virtually interchangeable generality. But in recent centuries a more modern, expressive sensibility began to creep into the liturgy - long before anyone even imagined the Novus Ordo. This sensibility can be detected in some of the more modern Mass texts added to the Missal of Pius V - for example, the 18th-century Mass of the feast of the Holy Name of Jesus. Of course, it was only to be expected that this modern tendency to verbosity would find an even more congenial home in the contemporary rite's late 20th-century compositions. Recently British blogger, Fr. Hunwicke, commented on how the newer sanctoral collects in the contemporary rite refer more often than those in the older rite to the distinctive charism of the saint being commemorated. Although himself liturgically clearly quite conservative, he acknowledged that "some of the new collects are indeed fine and cited one example, that of Saint Joseph, "an elegant, slinky, almost Leonine piece of Latinity." Still his endorsement is limited by his view that "A rite should not too closely reflect the fashions of any one particular phase in its history." combined with his concern that the contemporary preference for 'biographical' collects is a something of a modern fad. He emphasizes that "The most important thing about the saints is that they are our fellows now; not dead figures in the past with whom the only relationship that we can have is that of recollection and emulation ... we seek the protection of their prayers, and admission into their consortium." Fair enough! I agree that the role of the saints as contemporary intercessors certainly needs to be highlighted in the liturgy at least as much as their historical significance and value as role models for our imitation. But, in defense of "biographical" collects, I would also suggest that the saints' historical significance and value as role models for our imitation has always been relevant and is often a major factor in why a particular saint gets canonized at all and why a particular saint gets a feast in the calendar. If our devotion to the saints were exclusively focused on our contemporary fellowship with them as intercessors in the communion of saints, then in fact we would have little need for feasts of individual saints. The feast of All Saints would suffice! It is precisely the particularity of an individual saint's historical significance in the Church's life and his or her image as a model of sanctity that distinguishes one saint from another and warrants particular as opposed to generalized devotion. There is undoubtedly something to be said for the classical simplicity and sobriety of the traditional Roman liturgy. But, especially when it comes to the veneration of the saints, the more modern, more wordy, and thus more particularized prayers are, in my opinion, probably a major improvement. 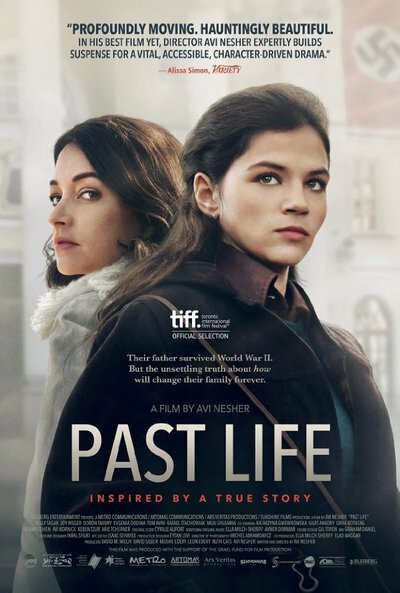 Past Life, a hauntingly powerful film by Israeli director Avi Nesher, is a complex story of an Israeli family struggling with coming to terms with a painful past and achieving what partial healing and reconciliation may be possible in this world. Set in Israel, Germany, and Poland in 1977, it is part detective story, as a talented young Israeli singer and would-composer undertakes to uncover the secret of her father's World War II past. It is part medical mystery as her more angrily frustrated sister struggles with serious illness, which in her mind is inseparable from the family's wartime legacy. And it is a moving family drama, as two families, permanently damaged by the war are unexpectedly reconnected and forced to reconsider their lives and their responses to their past. It takes time to uncover the whole past. What we start out thinking was the crime in question turns out to be but the entryway to a more complex and much more morally problematic tragic post-war experience. The gradual process of revelation is symbolically ritualized, as it were, in the father's drawn out re-construction of his wartime diary. Slowly the pieces of the puzzle come together, resulting in a deeply moving conclusion, in which (against the background of Sadat's historic visit to Jerusalem) the human difficulty of offering forgiveness and the limitations of achieving reconciliation are demonstrated. Although healing and reconciliation are tragically incomplete, it is still possible at the end for everyone, through honest confrontation the past, to end up in a better place than where he or she started. This may be one of the year's most thought-provoking and challenging films. I have never been an aviation aficionado. The history of World War II and the period leading up to it has always fascinated me, but never enough to generate any serious interest in the Amelia Earhart mystery. As I suppose most people know, Amelia Earhart (b. 1897) was a famously successful American aviator, the first woman to fly solo across the Atlantic, who mysteriously disappeared somewhere near Howland Island in the Pacific on July 2, 1937, while attempting to circumnavigate the globe by air. Earhart was an accomplished person as well as an advocate for aviation and for women’s issues. (United Press called her “Queen of the Air,” and she was an early supporter of the Equal Rights Amendment). But she is mostly remembered less for her accomplishments and advocacy and more for her mysterious disappearance. The still unresolved story of her strange disappearance has fascinated people for decades and produced a host of theories – from the reasonably obvious (running out of fuel and crashing into the ocean, or landing on some other island and dying there) to the clearly conspiratorial (Earhart and her Navigator, Fred Noonan, as American spies captured and executed by the Japanese, Earhart as “Tokyo Rose,” even Earhart returning incognito to the US and living in New Jersey under a new identity). Generally speaking, I eschew conspiracy theories. The more reasonable, more obvious explanations are usually more obvious precisely because more reasonable. Of course, I can understand that, when something novel or unexpected happens, it is tempting to go outside the perimeter of plausibility to concoct an explanation, But, as a general rule, such explanations are implausible for good reason. Conspiratorial explanations do seem to appeal more to some sorts of people than to others - often to those themselves in some respects beyond the perimeter or at least on the border. The danger of course, is that conspiracy theorizing normalizes such borderline thinking and breeds distrust - distrust of institutions and of each other, something we have more than enough of right now. 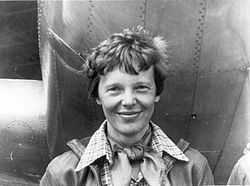 That said, i watched last night’s History Channel special "Amelia Earhart: The Lost Evidence," with a skeptical bias but (given how little I know about her story) with a somewhat open mind. The program's case rests on a hitherto overlooked photo photo found in the National Archives (possibly taken by someone spying on the Japanese) that could plausibly portray both Earhart and Noonan (and their airplane) in Japanese captivity in a harbor in the Marshall Islands (then under Japanese rule). Of course, the identification of the two and their plane cannot be absolutely certain. Nor is the photo's date definite. The argument is that the two Americans were eventually kept captives by the Japanese on Saipan until they were executed and buried there. Besides the photo, what makes the case somewhat compelling is the number of islanders who claimed to have seen the two in Japanese custody at various times. The belief that they landed in the Marshall Islands is sufficiently strong there to have even been the subject of postage stamps. In 1987 the Republic of the Marshall Islands issued a set of four commemorative stamps for the 50th anniversary of their crash-landing in the Mili Atoll. The program makes a plausible case for its story. An implication is that the US knew Earhart survived but kept that secret - perhaps in order to keep secret the fact that the US had broken the Japanese Code. That latter possibility makes the whole scenario somewhat more credible - more than just the standard conspiratorial view that the US government is hiding something from us! Why all this might have happened is what I find intriguing. It is, of course, possible that she was an American spy. More likely, she was just the victim of Japanese suspicion. Why were they so suspicious at a time when war with the US was still not inevitable? Like so many historical mysteries, this one may never be satisfactorily resolved. But the theory that Earhart and her companion survived a crash landing only to fall into Japanese hands certainly has credibility - and continues as a result to raise even more questions about the mysterious history of that pre-war period. This past week, we celebrated our national Independence Day holiday, commemorating the epic conflict in which our country was created and assumed its place in the larger world community of nations and states. The great 19th-century observer of American society, Alexis de Tocqueville, wrote in 1835 that a person “will endeavor … to harmonize the state in which he lives upon earth, with the state which he believes to await him in heaven.” As Catholics, of course, we have a long history (going back to the Roman Empire) of thinking seriously about how to relate our faith to civil society – a long tradition of practical wisdom which we need to take seriously both as disciples and as citizens. For we share with our fellow citizens in both the benefits and the responsibilities of our 21st-century American society. What resources does our faith offer us to participate in civic life? What lessons from centuries of Catholic spiritual and intellectual tradition and the experience of Catholic history in the United States can we share with our fellow citizens? What can we do together to promote the common good and care for our common home? The evident seriousness of the issues facing us in the present and future make it all the more essential for us to ask these questions and to share the particular perspectives of our rich Catholic faith and experience. Over time, the Church has adopted as her own - and adapted to ever changing political and social situations - the ancient philosophical understanding that human beings are social and political by nature, that human beings are naturally intended to live and thrive in close cooperation with others, and that the most developed and fulfilling form of that is our political association as fellow citizens. This political association as citizens with one another provides us with many benefits, which we would not otherwise enjoy. At the same time it also challenges us with serious responsibilities and obligations to one another and to the wider community. Coincidentally, today’s 1st reading, from the prophet Zechariah [Zechariah 9:9-10], foretells the coming of the Messiah as the ultimate king, whose dominion shall be from sea to sea, and from the River to the ends of the earth. It reminds us that, over and above all the many inter-related networks of human relationships of which we are a part and which we need to care about – family, work, country, etc. – we are also, first and foremost, citizens of the kingdom of God, a new, world-encompassing kingdom without borders, in which we are all immigrants but none are strangers, a relationship which gives added meaning and transforms all those other, necessary human relationships, like family, work, and country, of which we remain a part and which we still need to care about. Likewise, Saint Paul, in today’s 2nd reading from his letter to the early Christian community in Rome [Romans 8:9, 11-13], reminds us that, even while we remain thoroughly engaged in the otherwise ordinary-seeming life of our world, we are simultaneously starting to live a new life, given to us through the death and resurrection of Jesus Christ. Paul’s idea is that Christ’s new life has become our new life too, thereby reversing the direction of our ordinary existence and empowering us to allow ourselves and our entire lives – public and private - to be re-shaped by the Gospel’s stirring call to a total reorientation of our lives. Of course, the complexities and very real burdens of living in our world do not automatically get erased just by the fact of our becoming disciples of Jesus. Jesus’ words were not simplistic soundbites or campaign slogans, such as we often substitute for serious moral reflection and engagement with the facts we have to respond to in our social and political life. In fact, what Jesus seems to be proposing in today’s Gospel [Matthew 11:25-30] may at first appear as adding yet another additional burden – the burden of following him – to the complexities and burdens we already have. Yet it is precisely this added dimension – this yoke, as Jesus calls it - which somehow puts all the other complications and burdens of living in a totally new context – an insight, which (Jesus warns) is sometimes lost to the wise and the learned of the world. Hecker’s hope that we act like oil on the troubled waters of a conflicted and politically polarized society remains relevant for us today and always – especially given the many contemporary trends that seem to go in a contrary direction. So the rest that Jesus promises us is not a release from our necessary ties to the world and the tough realities and responsibilities of ordinary human life. It is rather a new way of living and being involved in the world. Strangers to one another no longer, Jesus challenges us to a new way of making sense of all our worldly relationships and responsibilities with and for one another. Homily for the 14th Sunday in Ordinary Time, Immaculate Conception Church, Knoxville, TN, July 8, 2017.